Recently, I was having a talk with my friends about how important food is in every country. Food plays a very important role in any culture. One of the most important things it does is that it brings people together. Families sit down to eat together at least once a day, children share their food with classmates at lunch, office workers get together after work to eat and socialise in the evenings. Food is also an essential part of any celebration. Whether it is a birthday, an anniversary, or just friends getting together after a long time, food is essential. And it is no different in Japan here. Here food brings people together too. In fact many come to visit Japan to taste its authentic cuisine. Even vegetarians. It is not all just about sushi, you know. So here’s a list of Japanese food that you can enjoy with friends and family. This is the staple cereal of Japan. Short and sticky you will find this as an accompaniment to many styles of food from the fancy sushi and nigiri, to a simple meal of rice with vegetables. 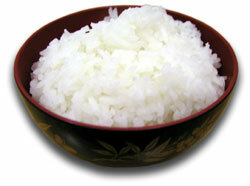 Hakumai is the preferred choice for rice as it is polished white rice that is thought to be very tasty. If you want to cook together with friends and family, rice is a simple thing to start with. After rice, it is definitely noodles that are the most popular. 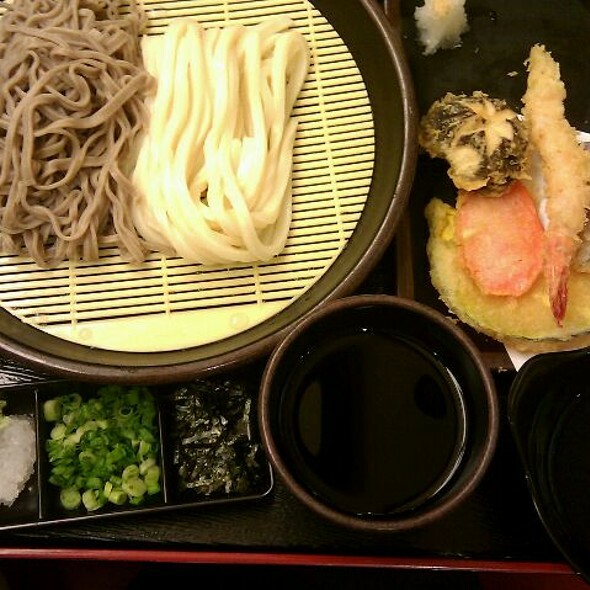 Whether you have the soba noodles that are made from buckwheat flour, or udon noodles made from wheat. These are usually eaten on their own with simple sauces or some vegetables and meat as toppings. The soba noodles can also be eaten cold and because of this are great for serving at large dinners or parties. This is similar to a barbeque stick or a kebab. 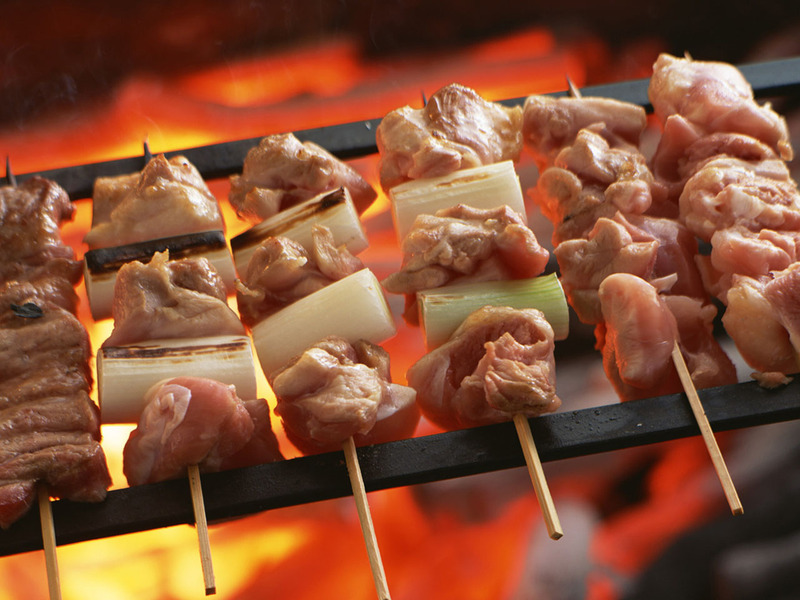 Skewered on a bamboo stick, little pieces of vegetables, chicken and chicken liver are prepared over coals instead of an electric or gas oven. This is a wonderful dish for friends to share. If you and your friends like to eat meat, this is a dish that you all will enjoy at a restaurant as it involves the eater in the preparation as well. 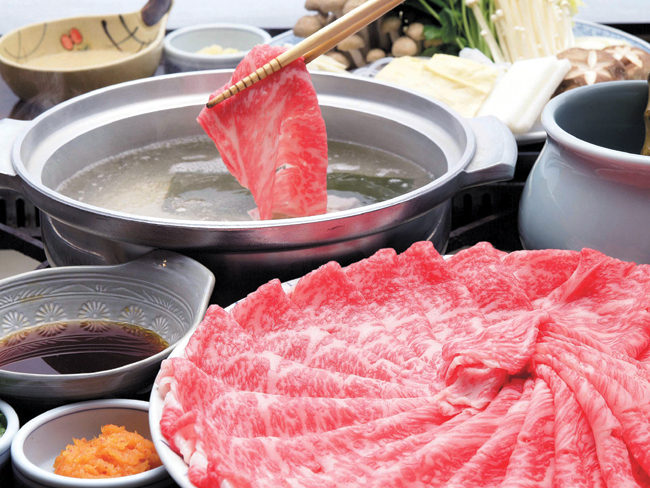 You will be given chopsticks, a pot of boiling water, dipping sauce and very thinly sliced strips of beef. To eat you will have to pick up a beef slice with your chopsticks, swirl it in the boiling water and then dip it in the dipping sauce. So enjoy these dishes mentioned above and don’t forget to let me know how you liked them. 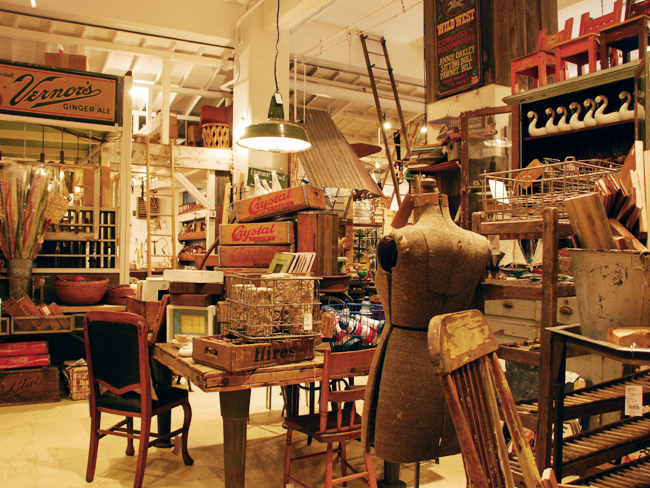 On the weekdays, hectic and chaotic lifestyle gives people a little chance to relax and explore themselves. Work pressure and other responsibilities take a toll on them. Most people want to spend some time in solitude or with family and friends but find it hard to do so. When weekend comes, they find a reason to be happy and do of their mind. Relaxing and spending some quality time with loved ones becomes their priority. Almost every part of world functions in the same way. Japan and Japanese people are not exception to it. On the weekends, they organise parties and go for relaxation and other therapies to reduce stress that has piled up during the week. Going for weekend spa breaks is quite popular in UK but it is also well-accepted by their counterparts in the East Asian country. Tokyo is by no means less busy than London. Similar to the Londoners, people living in Tokyo go to spas and other place to relax themselves. There are many places in the vicinity of Tokyo where you can go for weekend spa break in Japan, but Kinugawa in Tochigi prefecture houses some of the best ryokan facilities. This place is famous for Onsen Ryokan and Wakatake no shou is one of the most frequented ryokans by the tourists and local people. This is situated next to the Kinugawa River. Similar to the name, bamboo tress in the garden of Wakatake no shou elaborate its beauty. You can book an annex where all the rooms are attached with private onsen bathing facility. From the onsen baths at annex, you will have a wonderful view of Kinugawa River and vegetative mountains. There are shared onsen baths as well at this ryokan. Besides the main bath, there are two separate outside baths for women and one for men. If you do not want to share the public bath, by paying extra money you can use the private onsen baths. Before using onsen baths, you should be abreast of a few rules. You must take a shower before entering the bath and use of face towels is not considered an ideal choice inside the onsen bath. There is a sauna next only to outside baths. Other facilities at the ryokan include aroma therapy treatments and lymphatic massages. 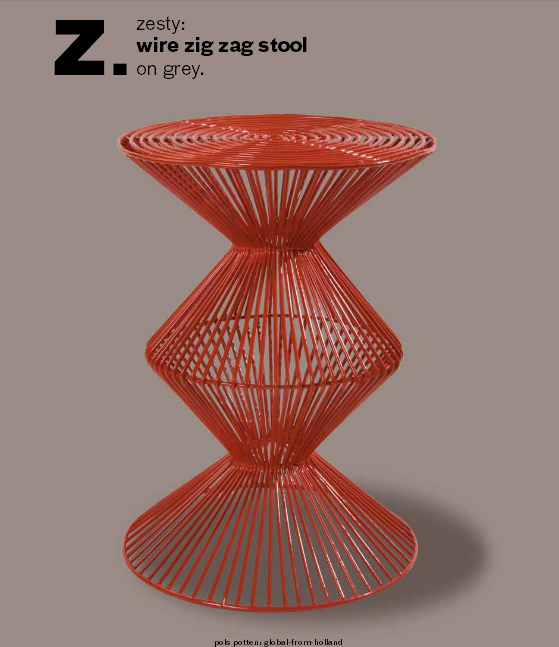 The latter one is provided with a slimming effect only for women and prior to taking dinner. Dinner is booked as soon as you check in to stay at the ryokan. Mainly, you will be provided seasonal dishes and there is a monthly change in menu. After staying there for whole weekend, you will fall in love with the ryokan and plan to visit it more often. Japan is a beautiful country to go on holiday. Japanese people welcome their guests wholeheartedly and help everywhere. The standard of living in the country is very high and it is convenient to move to different locations, as Japan has one of the best transportation facilities in world. The stunning and eerie beauty of Japan appeals to one and all. If you are planning to go to Japan, there are a few things that you must know before setting foot on the land of rising sun. 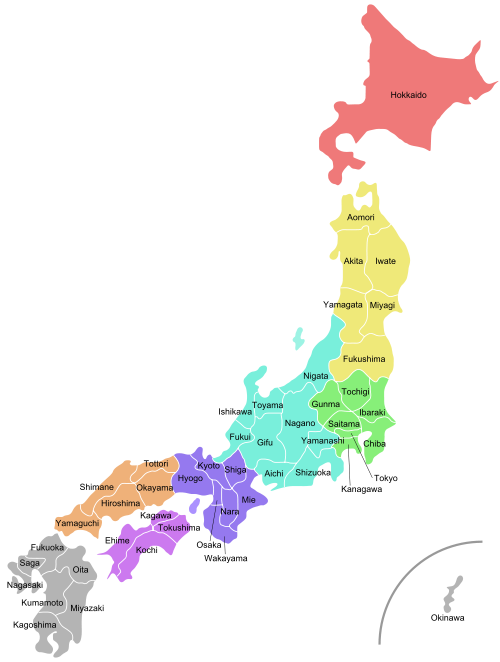 Here is a list that includes some of things that you must know before visiting Japan. Respect the People: Bowing your head down is a way to greet and apologise in Japanese culture. Japanese people learn to respect elder people since their childhood days. It is important that to whom and how deep you bow your head in respect or to greet the elder person. Japanese people use polite language and talk courteously. While addressing older people, it is common to add “san” at the end of their name. Table Manners: If you are attending a drinking party, do not just pour beer in own glass and start drinking. Japanese people follow good manners and lead their drinks with the toast. Usually, after taking the seat, a waiter or waitress gives you an “osdhibori” (small wet towel) to wipe hands. They follow strict etiquettes at the dining table. Japanese Baths: Onsen, hot spring baths, is quite popular in Japan. You can experience it at the different ryokan. The bathing style in Japan is different from the western countries. You need to take a shower before moving into the public or private onsen baths. 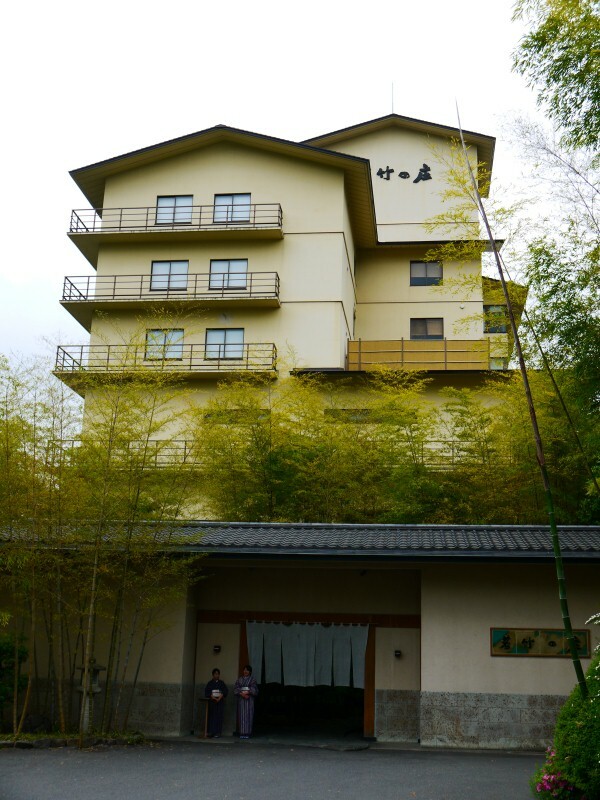 You can know about the onsen at ryokan from relevant blog about Japan. Tipping is Not Necessary: It is not necessary at all to tip bar and restaurant, hotel or taxi drivers in Japan. Typically, giving tip is considered a bad etiquette and can embarrass the people you are tipping. Chopsticks: When you are dining out in the Japanese restaurants, it is essential to use chopsticks. Entering a House: When you are entering a house, it is important that you take your shoes off. Also, there are some companies where you need to enter without footwear. Usually, there is a rack provided at the entrance where you can keep your shoes and sandals. Order and Harmony: Japanese people do not value individualism and dislike to disrupt the order and harmony of society. Japanese people refrain from the use of mobile phone on public places, do not blow their nose in front of other people and prefer not to eat food while commuting, as these are considered bad manners. If your Japan trip has been scheduled recently, you must take care of few things before visiting the island country. After all you will want to avoid any legal obligations pertaining to your visit to this Asiatic land. Plus you will need to take care of certain health insurance programs so that you don’t get robbed while paying for huge medical bills that may even affect your trip budget. There are also a lot of places to visit as you set your foot on this beautiful island country. 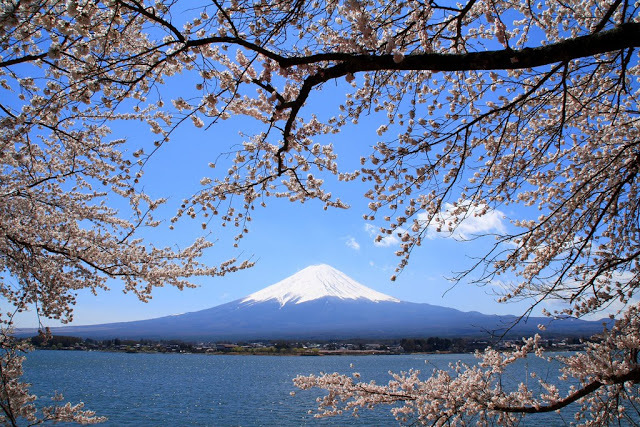 Let us check out the few “first things to-do while in Japan”. If your trip lasts for more than 90 days, you have to register with a Ward office or Municipal office nearest to the place where you will be residing. Ensure that you carry the Foreign Registration Card wherever you go. Being a non-Japanese citizen, you will be asked to be a member of the Japanese National Health Insurance program. This will allow you to pay a meager 30% of the medical expense. Kyoto, the ancient capital of Japan is bathed with heritage and history. The Kinkakuji is one of the most well-known remnants of the city. Previously owned by a shogun, the Kinkakuji is now worshipped as a Buddhist temple. The place homes around two hundred temples and shrines altogether and some of the most beautiful gardens of the world. Naoshima is definitely the place to be, if you have a taste for art and culture. The island welcomes you to numerous art galleries some of which are quite well known. The galleries mostly showcase contemporary art followed by the Japanese. 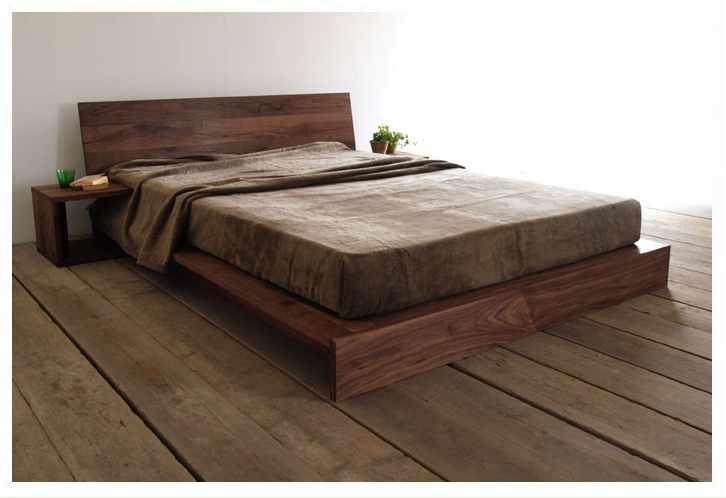 This place homes beautiful wooden buildings which have been transformed as galleries. Mount Koya is dotted with temples; it is a pilgrimage place. The Daishi temples standing here were mostly built in honour of Kobo Daishi, a Japanese monk. Get ready to experience the wonders of Japan and soak into the real essence of Japanese art, culture and food.